Hello guys, its weekend, and Airtel just want their customers to smile all through the weekend.Airtel management and staff are offering free 1GB Weekend plan to their subscribers. 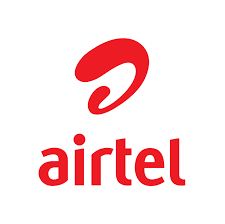 To get Airtel Free 1gb for the weekend dial *475# TWICE After dialing the code, you will receive this message "the data given to you is usable only at 12am on Saturday till Sunday 11:59PM"
According to Airtel: "This work's on Android, iPhone, iOS and Windows mobile and Pc and doesn’t require tunnel Software to power it. As it implies, it is used for weekends (Saturday and Sunday) Starting from 12am Saturday morning till Sunday 11:59pm. For 1 Month"
The best way to enjoy this, is to get more Airtel Sim cards and get more data for your downloads. Remember that no airtime is required, as it is absolutely free of charge on your Airtel sim.